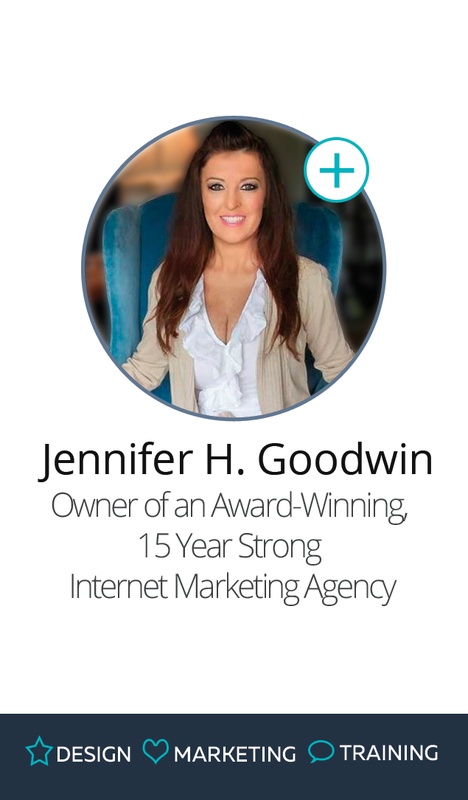 Hi, I'm Jennifer Goodwin and I'm looking for partners. I have been a professional Internet Marketer for the last 15 years. I own an agency that designs websites and handles anything that touches the web (social media, phone apps, paid advertising, analytics, blah, blah ,blah) I was in a near-death accident and lifeflighted off the highway when I was on a date and got on the back of a motorcycle for the first time in my life. Needless to say, when we crashed, I had to let go of 90% of my client base. Now I'm ready to rock and roll again! I'm busy setting things up behind the scenes and updating all of the marketing materials. I need a business partner who is willing to take care of the sales end; lead generation. I can even handle the phone consultation, billing, contracts etc. Just bring me the leads. Actually, I have a ton of leads to point you to as well. This is a big money opportunity for the right person because I have web design & marketing teams in place ready to grow. We predominantly sell websites for $500.00-$1000 and you get $200-$400 on each. You must do the sales end of the business. I can teach you what to say if you've never sold web design. It's actually much easier than you think. One easy tactic is to show them that they are losing 50% of their leads simply because their website isn't mobile friendly. Pull out your cell phone and look at their website. -I design one website per day myself and have a crew of designers standing by when we become busy. -I maintain the websites and hosting. -I upsell the clients to monthly marketing (you get 5% of that as well for the life of the customer which is an average of 4 years). -I braodcast live on www.howtogovirtual.com (launching in 1 week) which brings in even more value and leads that you can handle. -Options: Email marketing, cold calling, networking events, social media, paid advertising, forums, etc. -Hire additional sales people and build a team under you. You can take a percentage of each of their sales too. -You bring in only 1 new client per day. -Each new individual or business customer pays a one-time web design fee and monthly hosting. $500-$1000 plus $50/month hosting plus whatever monthly services they need. -Every 100 new customers (approximately 3 months of sales) would add up to $50k-$100k that you would get 40% of. ($20k-$40k) plus 5% of monthly, plus team commissions. -Every 1000 new customers (approximately 2 years from now) would add up to $500k-$1million that you would get 40% of.